RECENT PRICE ADJUSTMENT & REALLY MOTIVATED SELLER...MOVE IN READY for this great 3 bedroom+den, 3 bath home sited on one of the 3 largest premium lots in the community WITH THE MOST SQUARE FOOTAGE. Over $150,000 in UPGRADES enhancing the open concept Lazio Floor Plan. Impact Resistant Thermal Windows & State of the Art Thermal Euro-Wall Folding Door System. The Gourmet Kitchen is ‘the heart of the home’ & this one has everything! Oversized Granite Island Includes…as a base…Under-Counter Storage Cabinets, Under-Mount Lights Shine on Glass & Stainless Tile Back Splash, Wine Rack, Cafe Series Stainless Appliance Package with Gas Cooktop, Convection Wall Oven, Designer Hood, Walk-In Pantry. 42’ Cabinets with Crown Molding, Cushion Close Pull-Outs & Pot/Pan Organizer. Upgraded Flooring throughout (no carpet), Crown Molding, Wainscoting in Foyer. Master & Front Bedroom 4’ Room Extensions with Bay Windows, Expanded Kitchen with Breakfast Nook, Deluxe Master Bath, Extended Lanai with Pavers, Extended Garage,Whole House Tray Ceiling Package & All Doors Upgraded to 8’. Don’t miss this great property close to Shopping, Dining, Beach, Airport & the SWFL beautiful environment. I was searching for a Property and found this listing (MLS #218036810). Please send me more information regarding 10207 Coconut Rd, BONITA SPRINGS, FL, 34135. Thank you! 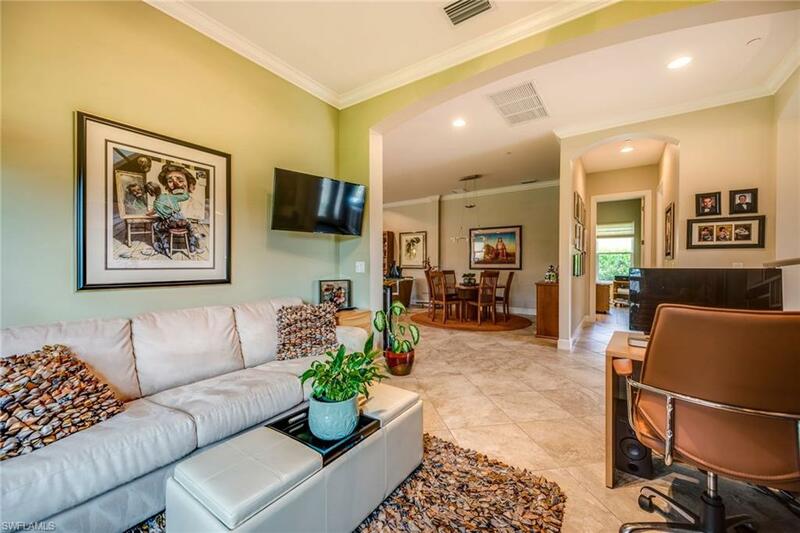 I'd like to request a showing of 10207 Coconut Rd, BONITA SPRINGS, FL, 34135 (MLS #218036810). Thank you!